Acupuncture is a constituent of the Chinese healthcare system that has been practiced for over 2500 years. The basis of acupuncture is the premise that there is a pattern of energy flow through the body referred to as Qi, which has two complementary opposites known as "yin" and "yang." Qi is essential for health. Disease, therefore, occurs when this flow is interrupted. As it has been theorized, acupuncture helps correct imbalances of this energy flow at specific points close to the skin. We at Magnolia Wellness Center, Tallahassee, are pleased to give you vital information regarding Acupuncture. Qi is said to flow through pathways, or meridians, in the human body. Your chiropractor in Tallahassee can access these meridians and energy flow through 350 acupuncture points in the body. Placing needles into these points using particular combinations are said to restore the energy flow back into the correct balance. There is no scientific proof of the existence of acupuncture points or meridians. However, many studies indicate that acupuncture is useful for treating many conditions. Some scientists have applied neuroscience to explain acupuncture. 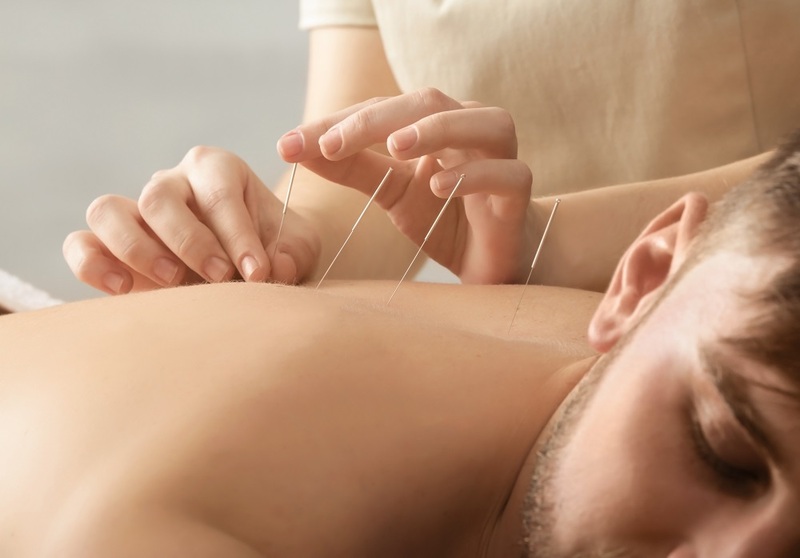 They regard acupuncture points as the areas where nerves, connective tissue, and muscles can be stimulated. Stimulating them increases blood flow and triggers the activation of the body's innate painkillers. If done correctly, it is safe. It can be efficiently combined with other forms of treatment to enhance recovery. It can help patients for whom pain medications are unsuitable. Chinese medical theory states that acupuncture points are situated on meridians, through which the life force (vital energy) flows. This energy is referred to as "chi" or "qi." If you are suffering from neck pain, back pain, shoulder pain, or any other ailment, our chiropractor in Tallahassee will examine you and assess your condition, insert one or several thin, sterilized needles, then offer you advice on self-care, recovery, or other complementary treatments such as Chinese herbs. They will ask you to lie down on your front, back, or side depending on where the needles are to be placed. Our acupuncture specialist will use single-use, sterile needles. As he or she inserts each needle, you may feel a brief tingling or stinging sensation. After inserting the needle, occasionally you may feel a dull ache at the point of insertion that will then subside. Sometimes, our acupuncturist may stimulate the needles with heat or electricity after insertion. Acupuncture is a relatively painless therapy that has been proven to be effective in treating numerous conditions. It has no downtime and poses very few side effects to the patient. If you would like to learn more about acupuncture and how it can help treat your condition, visit us at Magnolia Wellness Center, Tallahassee, or call us today at (850) 656-6606.